Fantasy Grounds isn't a game in and of itself. But it's almost certainly going to end up being my most valued piece of Steam software. 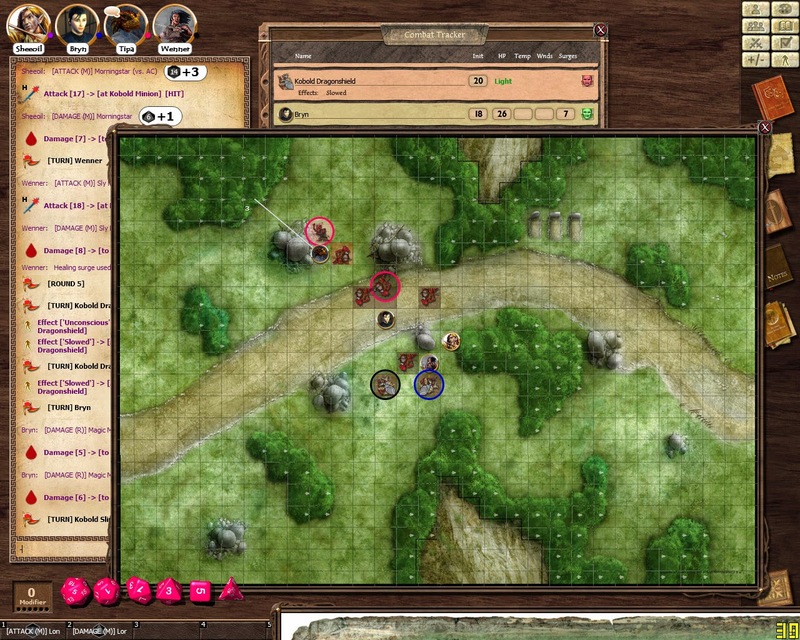 For Fantasy Grounds is a bit of software that allows you to play pen-and-paper (PnP) RPGs with family and friends from around the world over the Internet. "So what?" I hear you say. "Surely you can do that over Skype and a basic chat program?" Yes and no. I've tried to play PnP RPGs in the past online, and nothing has ever really worked. Tracking characters or combat was too difficult. The chat program and dice rolling was either too limited or buggy. The general atmosphere simply wasn't there. Management was a nightmare for a DM. Fantasy Grounds fixes all of these problems and, if anything, makes playing PnP games online even easier than in real life. It's complex software, and takes some time and practice to fully "learn". A group of friends and I took a couple of hours to work through the basics and make sure everyone was up to speed with how to work with the complex statistics that Fantasy Grounds can track. The software actually allows for a wide range of different PnP systems, from Dungeons & Dragons (3.5 and 4th edition), Call of Cthulhu, and others. 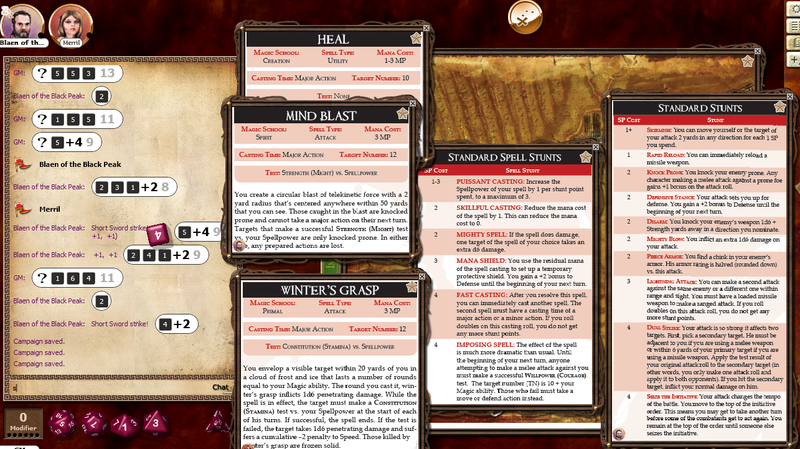 It even features a structure that allows your own personal RPG ruleset to be built into the software for use. Each of these systems have very different sets of rules, so it's to the software's credit that each of these systems is recreated perfectly within the software. Not once did we encounter a situation where, once we knew how to the operate the system, would it produce a result that was incorrect or surprised us. The software is also nearly perfect at management from the Dungeon Master's point of view. One of the best advantages of the software over ever other attempt that I had made to play PnP games online is that it's possible to load the entire adventure into the game prior to starting. All the dialogue, all the environment descriptions, the maps, artwork, and encounters can all be pre-prepared, meaning that once we started playing I just needed to manage the flow of the game. 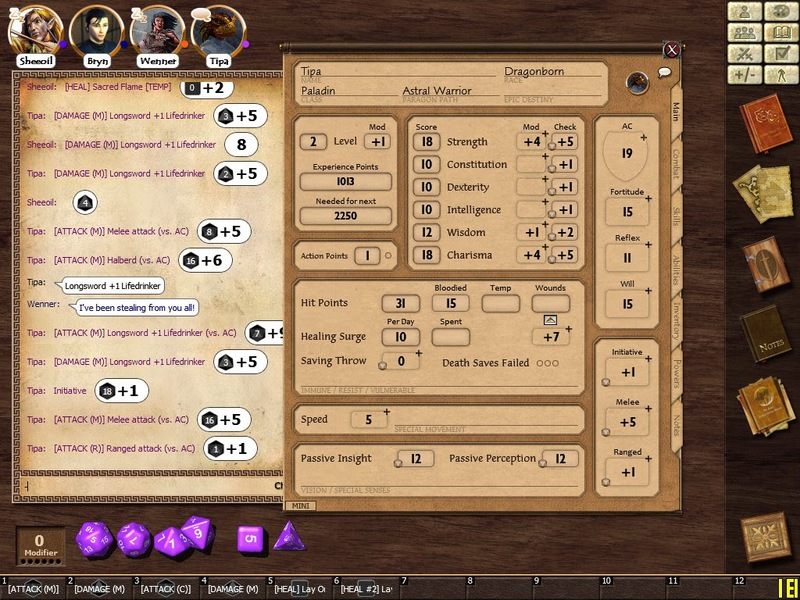 Automated systems within the software handle all dice rolls (and any special modifies that the player might have from special effects, magical items and so on are automatically reflected in the rolls), meaning that there's no potential for a player to forget about a power that he or she might have, making life easier for the players as well. Battle management is incredibly easy with full battle map support and a single window that can be opened to track the most important statistics on the fly. It also helps that the chat system on the side is comprehensive. 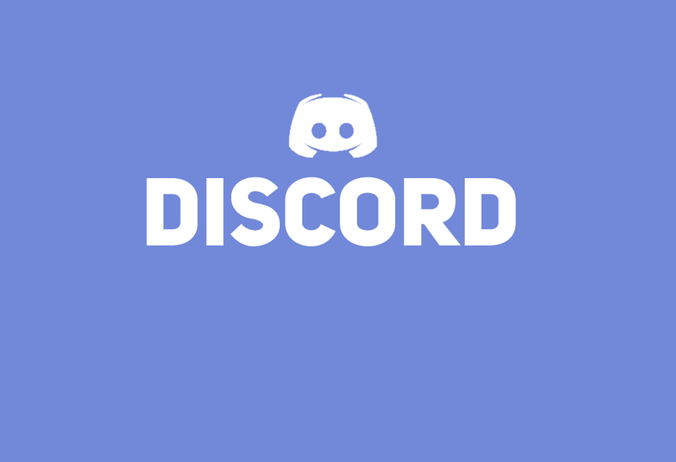 It doesn't allow voice chat, but it does allow for different "tones" of voice such as on-topic chat, off-topic comments, whispers to a single player and the ability to roll incidental dice directly onto the chat window. Being able to instantly follow the various conversations that will happen over the course of a single game session are a Godsend... especially for the DM. Finally, there's the ability to save a game mid-session, which makes picking up on the game at the start of a new session a snap. 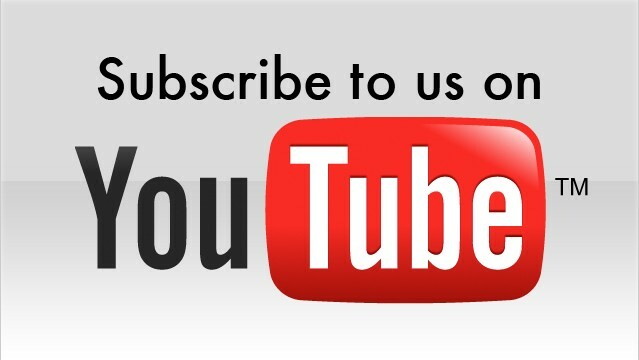 All of this functionality is presented in an interface that generally works. There are a lot of menu systems to this software, and dual screen support would be our #1 request for an update so that players can better manage having multiple windows open at once, but the actual information is presented in a clear and consistent manner. My own group has had no trouble finding the important information when we needed it. So Fantasy Grounds has allowed me to get back into PnP gaming, even though I no longer live in such a situation where I can get a group together for a night-long session once a week. For that I am so glad it exists. Item Reviewed: Review: Fantasy Grounds (PC) 9 out of 10 based on 10 ratings. 9 user reviews.